Editor’s Note: Amanda is featured in the CDC’s Tips From Former Smoker’s campaign, which features real people living with the effects of smoking-related diseases or exposure to secondhand smoke at www.cdc.gov/tips. Amanda began smoking in the 5th grade. Everyone in her family smoked. And while she knew the dangers of smoking, she didn’t believe it would ever affect her or the children she dreamed she’d have. To her credit, Amanda worked with a public health nurse in a smoking cessation class to try to quit smoking. But when her healthcare providers asked if she still smoked, she hesitated to share how much she was smoking. 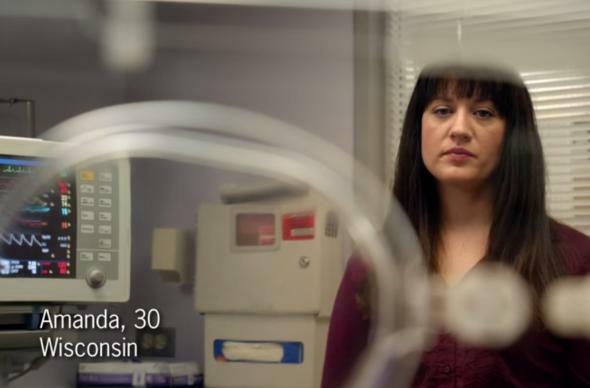 Amanda was 31 weeks pregnant when she heard her daughter cry for the first time. Living with the consequences of smoking during pregnancy has lead Amanda to speak out to other women. Amanda still has stressful days, but now she relies on exercise to work through her frustrations. Carolyn Davis Cockey, MLS, LCCE, is editor of Healthy Mom&Baby and a Lamaze-Certified Childbirth Educator.